I look around today and I still can’t believe all of the GPL organizations supporting Net Neutrality such as WordPress and Automatic and the Internet Defense League. Some of my most favorite organizations don’t seem to get the legal ramifications behind Net Neutrality. I covered this in the past when talking about this very same subject and how it greatly, and negatively impacted our company. I even covered it on my personal blog as well. To say the least, the repeal of Net Neutrality has been a godsend for my company and my customers – whether they know it or not. Why some of these organizations support the movement is speculation, I can only make assumptions. Maybe they’ve been paid? Maybe they’re simply ignorant of what it actually does and who really supports it? Maybe cool and catchy titles such as “Internet Defense League” attracts new supporters? As I said, I can only speculate but the fact remains that Net Neutrality is absolutely and utterly devastating to small businesses. What is Net Neutrality, Really? So, that means that my traffic to your computer must be given the same priority as traffic from Google to your computer. When this law was repealed, ISP’s could start to “discriminate” based on networks again. How is Net Neutrality Bad? Imagine for a moment, I was up to no good and decided to flood your home network with a lot of junk packets to knock you offline. This is called a DDOS attack and it’s virtually unstoppable WITH NET NEUTRALITY. When you are being DDOSed, your modem and router must accept every single packet to filter them. If your connection is overwhelmed, then your internet simply stops. Your only remedy is to wait it out unless your ISP is willing to change your IP address. There many types of DDOS attacks and mostly they all carry the same strategy – to overwhelm your connection or modem. In fact, this is so popular and cheap, there are free websites that allow you to DDOS who ever you want. Unless that person has a 10Gbps internet connection, you will take them offline. At least, you used to. Anonymity plays a huge role in why Net Neutrality is so bad. On the internet only a modestly knowledgeable actor knows how to both cover his/her tracks and remain anonymous. You can simply do it by using the Tor Browser and ensuring you NEVER enter any personal identifiable information in any forms. To any website, FBI agent, or any law enforcement, you appear to connect to a website from an entirely different country. Not only that, but Tor bounces you through so many proxies through countries with strong internet privacy laws that the chances that you will ever be found is ZERO. But there is another problem we found a while back while being DDOSed. There is utterly no law enforcement. You can fill out a form on the FBI’s database, but even the agents there admit that it’s simply a “black hole”. To date, no small business has ever stated that the FBI had helped them in a case of an internet attack if they or other small businesses were the only subjects of the attack. It’s true, larger businesses are often aided, but not us little guys and gals. This means that an actor can download the Tor Browser, go to that free website that we will not mention or link to, type in a web address or IP address, and click “Start” and giggle and chuckle as the website simply disappears from the internet. Now we just ran into a fundamental problem. This is the real life equivalent of someone placing duct tape over your mouth in public. If this did happen in real life it would be assault and the person would be arrested. In the virtual world – you can’t even find them to arrest them if there were laws on the books that even made it illegal in the first place. 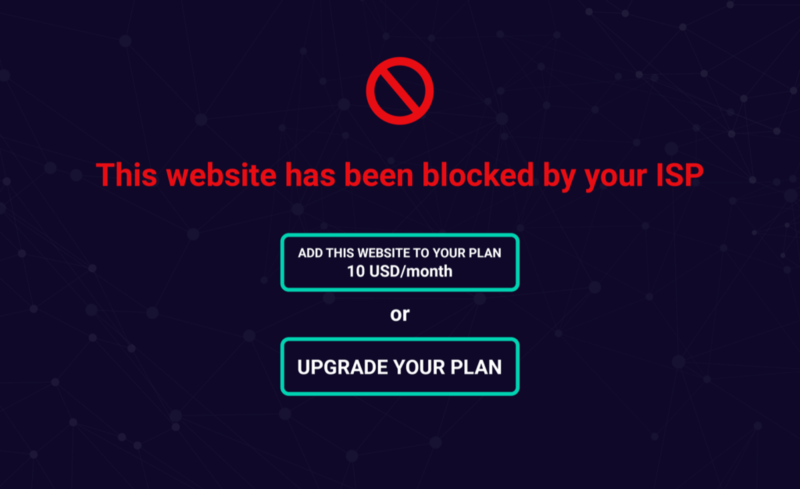 This is all made possible by Net Neutrality – and there are many upon many other attacks that nefarious individuals and actors can employ that are made worse by Net Neutrality. 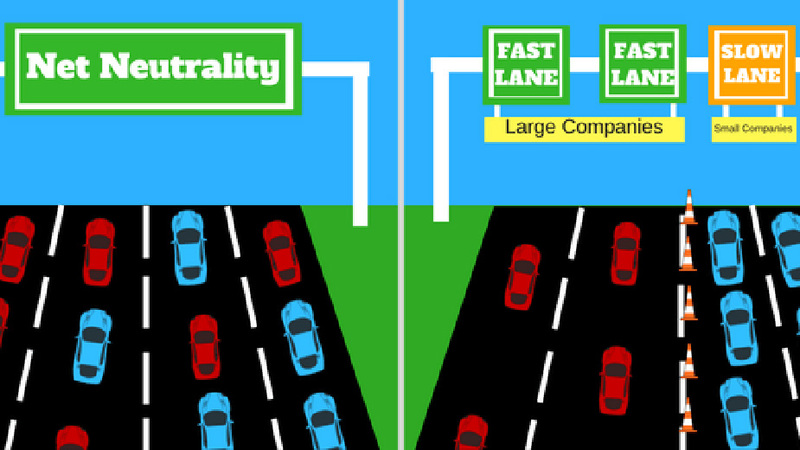 With Net Neutrality, your ISP MUST treat all traffic equally. Never mind that network in China or Russia or India that consistently attacks a US network 24/7. No, they cannot discriminate! That means that a DDOS attack that usually comes from shady networks with non-existent abuse addresses or abuse departments that never answer or attend abuse complaints is treated as if your bank or Google was sending it. And my friends, is the problem. Why does Google support Net Neutrality? The short answer is money. Do you not find it odd that Google and Facebook seem to defy all logic with the common narrative that “big businesses get preference”? I mean, if that’s the case, why would Google and Facebook actually want Net Neutrality if their networks gain preference? Follow the money. This goes so much deeper than you would even guess at first glance. Imagine for a moment that every network is treated equally, no matter how responsive the abuse department is. Well, providers like Google and Facebook don’t have to hire a very expensive abuse team to attend abuse reports any longer. There are no laws that mandate that they have to stop attacks or answer and attend to those emails. Net Neutrality leaves them with utterly no consequence. This, of course, makes the problem even worse. That means that attackers that use a popular company’s very fast network can get more done even quicker with slow, sluggish, or non-existent responses from abuse complaints. But to add insult to injury, as I stated a few paragraphs above, large companies can easily get the FBI and other government agencies to pursue internet criminals that attack or breech their networks. It’s done all the time. When Sony was hit with a 300Gbps DDOS attack just a few years ago, the FBI was all over it and even giving public updates on their case progress. Smaller businesses do not have this luxury. If we’re attacked, we’re utterly on our own – the forgotten of the internet police. So, quite literally, our only recourse is to have our ISP’s help as I already linked to the .gov advisory that specifically states that a DNS Amplification DDOS attack is UNSTOPPABLE without the help of the ISP (upstream provider). And guess what Net Neutrality does? It prevents the upstream provider, or your ISP from stopping it. How is the repeal of Net Neutrality Good? We have covered how it is bad and why you shouldn’t be on this bandwagon because there are only 2 types of people that knowingly want Net Neutrality back on the books: 1) Nefarious individuals and actors with intent to cause damage and harm and 2) Big corporations that are looking to reduce or outright cut their abuse staff to save money and maximize profits. You should also now understand that under Net Neutrality, your ISP must treat all traffic equally regardless of it’s origins. But without Net Neutrality, your ISP can throttle traffic based on it’s origins. That means that your ISP can slow down or outright block Russian and Chinese networks that consistently abuse our infrastructure and never respond to abuse complaints. Another rumor or narrative floating around, as iconified in the above image used as a scare tactic, says that ISP’s can charge you extra for certain websites or networks – this is entirely false. First of all, no ISP would ever dream of doing this because they would lose customers very quickly and in the world of capitalism, that’s the last thing they want to do. But, simply running the layer 7 filters necessary to stop IP traffic (until you ‘upgrade’) based on content, domain name, etc creates to such a high resource demand that it doesn’t make economical sense. No ISP will spend $20,000,000.00 in infrastructure to profit $20,000,000.00 in 10 years (that is if, they don’t take a $20,000,000.00 loss from customers seeking out the competition). Since the repeal of Net Neutrality, my company, who was relentlessly DDOSed while it was law, has still been DDOSed but not once have we been taken offline again. That’s because our ISP’s are able to prioritize and block networks that are known to abuse their customers and that removes the fangs from the snake. THE ONLY FREEDOM THAT NET NEUTRALITY GIVES YOU, AS AN INDIVIDUAL, IS THE FREEDOM TO ATTACK OTHERS WITH IMPUNITY. And that means, that others have the freedom to remove your freedom to speak, voice, conduct business, and engage in commerce online. Imagine if they were able to do this outside of the internet. Would we be creating laws to protect that, or prosecute it?